One of the best Sunday Carverys in the Ashby de la Zouch area! 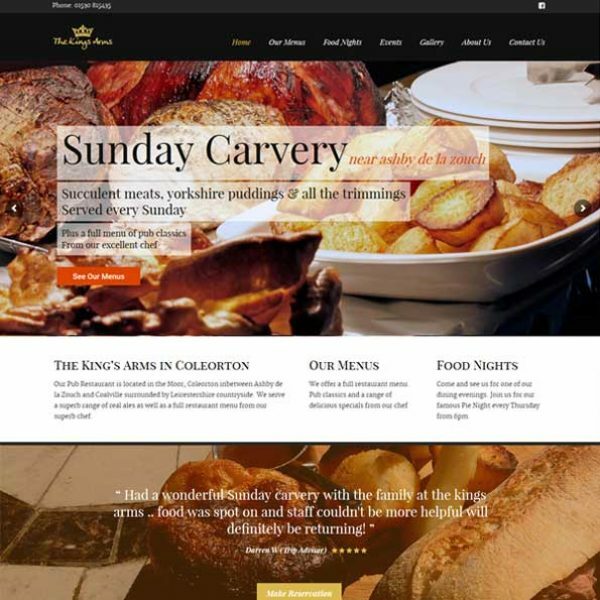 This CMS website design shows off the fabulous food served at the King’s Arms in Coleorton. The brief was to display menus, special offers and events held at the pub whilst partnering a Facebook marketing campaign to increase awareness in the area. We created a WordPress based website which displays some of the fabulous food on offer, as well as a calendar module which allows the staff to upload details of the regular events held at the pub.